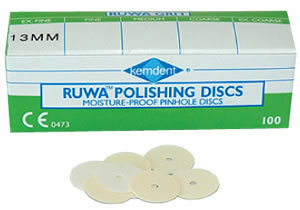 The Kemdent range of paper polishing discs are suitable for Dentists and Technicians. Type A and Type B discs are available in a wide range of grits and disc sizes. Kemdent paper discs can be used in both wet and dry conditions.